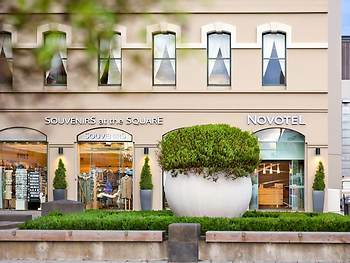 Hotel Novotel Christchurch Cathedral Square, Christchurch, New Zealand - Lowest Rate Guaranteed! With a stay at Novotel Christchurch Cathedral Square, you'll be centrally located in Christchurch, a 4-minute drive from Christchurch Casino and 8 minutes from Hagley Park. This 4.5-star hotel is 1.6 mi (2.6 km) from Christchurch Public Hospital and 2.7 mi (4.3 km) from AMI Stadium. I was impressed with the room and its facilities. The phone operator was very helpful in me making a call as I had difficulty making it myself.